Our design flexibility allows our clients to utilize a single module or arrange up to 32 UPS system modules in Parallel, Isolated Redundant, or Iso-Parallel configurations to fit with their requirements. IEM Power Systems is committed to delivering the best solution to match your requirements. To accomplish this we design and build a wide range of configurations. Our design flexibility allows our clients to utilize a single module or arrange up to 32 UPS system modules in Parallel, Isolated Redundant, or Iso-Parallel configurations to fit with their requirements. 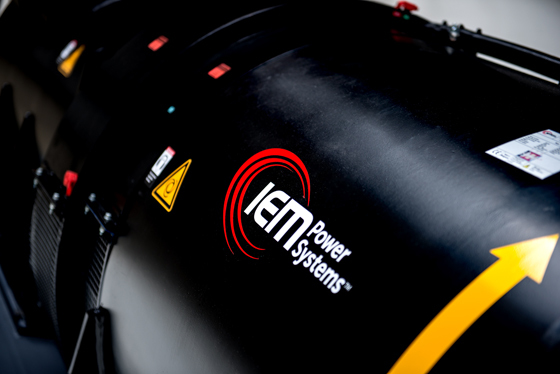 IEM Power Systems has the capability to model your site-specific power distribution system. The Iso-Parallel Bus configuration allows the alternative energy source to be more effectively connected to the power distribution system. Isolation chokes can be sized so that the alternative energy source is fully utilized before drawing power from the external supply. We can provide containerized solutions for customers looking more toward modular units or require the Rotablocs to be sited outside the main building.